I consider myself very fortunate to have wound up in a job that takes me all over the world on my bicycle. 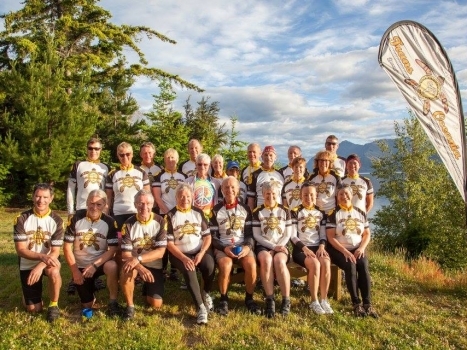 Since joining TDA Global Cycling in 2014, I’ve been across Asia, through Central America, halfway across Canada, and crossed Australia and New Zealand twice. At the end of each these trips, though, I find myself longing for the freedom found only when travelling solo – to go wherever you want, by whatever route, at your own pace. And so I’ve made a habit of taking some time to do my own thing before flying home. And as a mountain biker, those plans tend to be mostly singletrack. 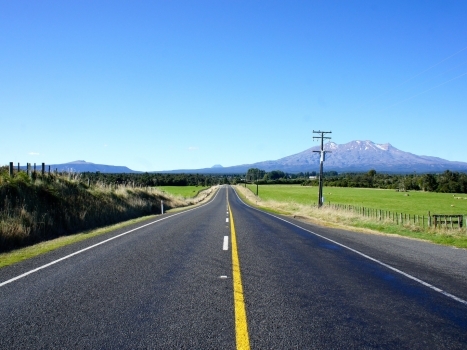 In this case, after completing the Trans-Oceania, one part of my post-tour travels brought me to the Old Ghost Road. New Zealand is without a doubt one of the world’s top destinations for mountain biking. 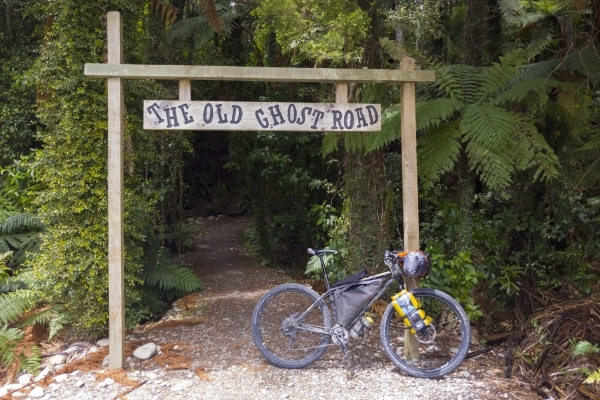 I already knew about the famed trails in Queenstown, Rotorua, and so on, but I had heard a few people mention a new backpacking trail called the Old Ghost Road. At first I brushed it off as its location didn’t really fit with my itinerary. But as time went on, more and more people told me that it was a must-do, bucket list kind of ride. The name alone, Old Ghost Road, was almost enough to draw me in. I did some research, and the story of this trail had me totally hooked. I can’t possibly sum it all up here. 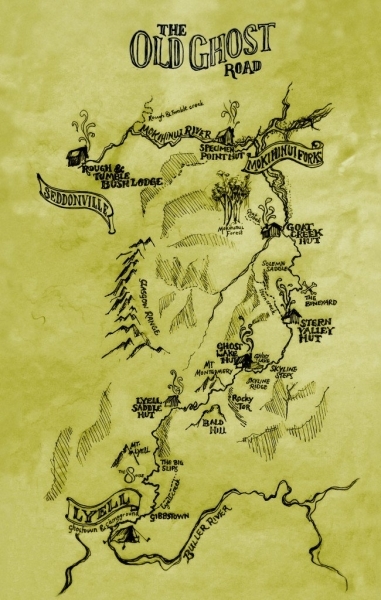 It all began in 2007 when Marion Boatwright was given an old map. Drawn by miners in 1886, it showed a proposed route between the settlements of Lyell and Seddonville. He found that only the first and last quarters of the 85km route had ever been built, and had since been mostly taken back by the wilderness. He set to work on completing the long lost route, and although the middle section follows a different alignment than that original hand drawn map, the trail was finally opened in 2015. As this was to be my first ever bikepacking ride, I opted for a short route on the first day, to allow time to deal with any problems with my bike or gear. The trail begins at Lyell with a swing bridge, immediately getting you into the mindset of entering the backcountry. The ride from there to the first hut at Lyell Saddle is predominantly doubletrack and is not technically challenging, although it does climb 800m in only 18km. It was uncharacteristically hot that day, and I had to take it easy to keep from overheating. Despite my slow pace and a late start, I still made it to the hut around 1pm. I was pleasantly surprised by the hut, which is situated on a rare bit of flat ground. This allowed a nice view out of the woods that had surrounded me the entire day. It was very well equipped with a rain water supply, kitchen with gas stoves and cooking gear, dishes, etc. I knew this from the trail’s website, but it was all just much nicer than I expected. There was also a very welcome shower stall outside. This set up means that, other than your usual riding gear, all you need to bring is a sleeping bag and your supply of food. Thanks to my hurried survey of the route notes, I was under the mistaken impression that the Lyell Saddle had been the end of the climb. I soon found out, though, that the saddle is just a brief respite before another 8km and 500m of climbing. Knowing that I had only about 20km to cover that day, I took my time leaving the hut in the morning, and paced myself on the climb. I eventually came to a small window through the trees where I got my first glimpse of the endless valleys beyond. After I ate some snacks and rested for about half an hour, I turned the next corner only to find what I had really been waiting for – the point where the trail emerges from the woods near the top of an impressive ridgeline. Just ahead, I found a small weather shelter, with a sign marking one of only two or three spots on the Old Ghost Road where, with careful aim, you can just get a phone signal. This small shelter is the beginning of a long section of exposed singletrack, much of which was built with explosives brought in by helicopter. Most of the photos you see of the Old Ghost Road are from here. I found myself stopping every five minutes or so to just sit and take in the views. I am always captivated by the spots on a trail where you can see your path extending into the distance behind and in front of you. Compared to the wooded section I had just finished, this part was pretty flat. It was, however, much more challenging to ride, with huge exposure on one side, and plenty of rocks, small drops, and tight switchbacks. Before long, I found myself at the Ghost Lake hut. I hadn’t made a booking to stay there, so I just stopped for lunch. It certainly has the most impressive location of any of the huts, located right on the edge of a massive cliff, and offering a view of the next section of trail. I spent at least an hour there, recovering and chatting with the hut warden, who was one of hundreds of volunteers who helped in the trail’s construction. The next part of the route is by far the hardest. Leaving the hut, you immediately descend a series of tight, rocky switchbacks to the valley floor. Almost right away, you climb up again through a similar set of switchbacks visible in the photo above. That leads you to Skyline Ridge, which finds you riding right along the very top of a narrow ridgeline. After another 10km of technical descending, I made it to the Stern Valley hut where I would spend the night. The ride out from Stern Valley begins with 5km of pretty tough climbing, but is also the last ascent of any significance on the entire trail. Knowing this, I pushed myself to get through it quickly before it got too hot. I found myself at the trail’s last hut at 11am, where I had originally planned to spend the night. It seemed way too early to call it a day, so I pushed on. The next bit of trail was much easier, and very welcome. 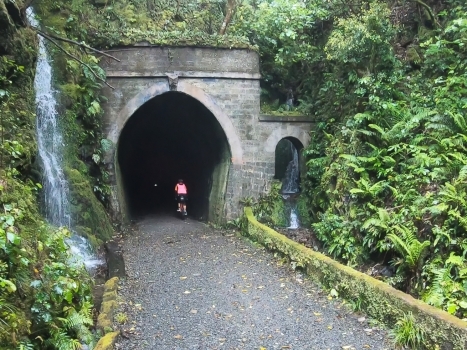 It is a simple doubletrack following the Mokihinui River, although there are a few small stream crossings along the way. I had heard that rain was forecast for the next day, so I pushed on another 20km downstream to the end of the trail. What really left an impression on me, and would do the same for anyone else who’s spent any time digging in the woods, is what an unbelievable feat of trail building it is. That entire tale is covered in the book Spirit to the Stone: Building the Old Ghost Road, written by the driving force behind the trail’s creation, Marion Boatwright. Since riding the Old Ghost Road, I’ve struggled to put the experience into words. 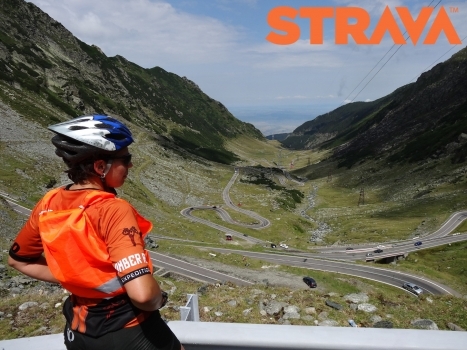 The route includes some of the absolute best trail I’ve ever ridden, and like I was told, is a true bucket-list journey.